Power Screening is a leading dealer for composting equipment in the Rocky Mountain region and beyond. With locations in Henderson, CO and Albuquerque, NM we offer professional sales, rentals, parts and service support. Our large inventory of new and used mobile composting equipment includes a variety of Komptech models. In addition to Colorado and New Mexico, Power Screening serves customers in Nebraska, Eastern Wyoming and Southwest Kansas. 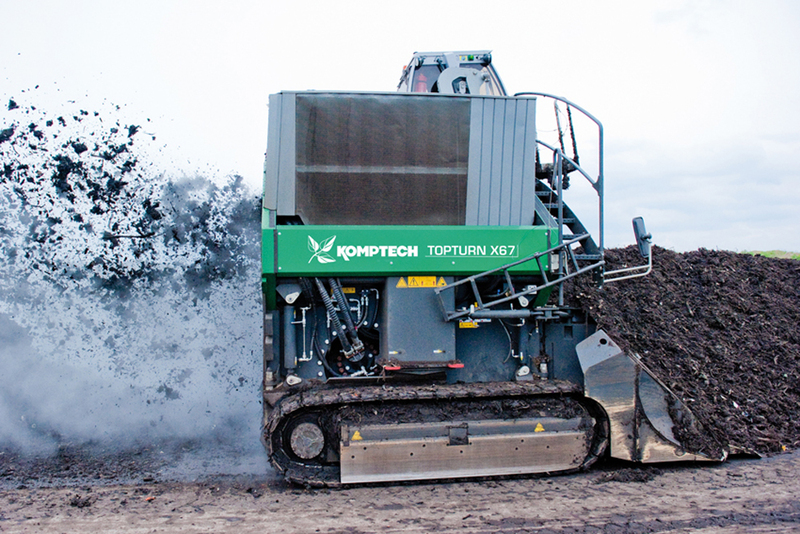 Our Komptech products range from mobile composting machines for open-air composting operations to large-scale plants with pre-treatment, closed rotting, and final treatment of the end product. Komptech has the necessary expertise and appropriate machine and system technology for all applications, to turn waste into a valuable product while preserving and recycling resources. Windrow Turner models include the Komptech Topturn X4500, X55, X63 and X67. The Komptech Topturn X4500 brings high-end performance to the entry level category. 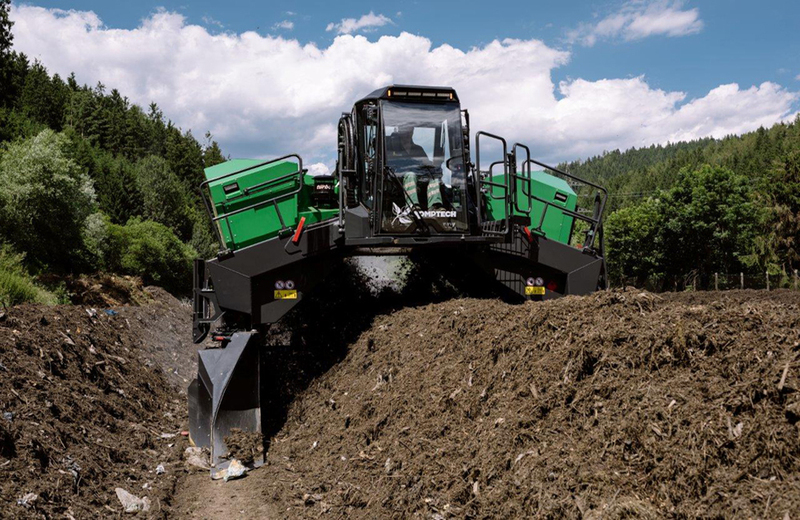 The X4500 packs the proven functionality of the X series in a scale that is a perfect fit for small and medium-size composting operations. 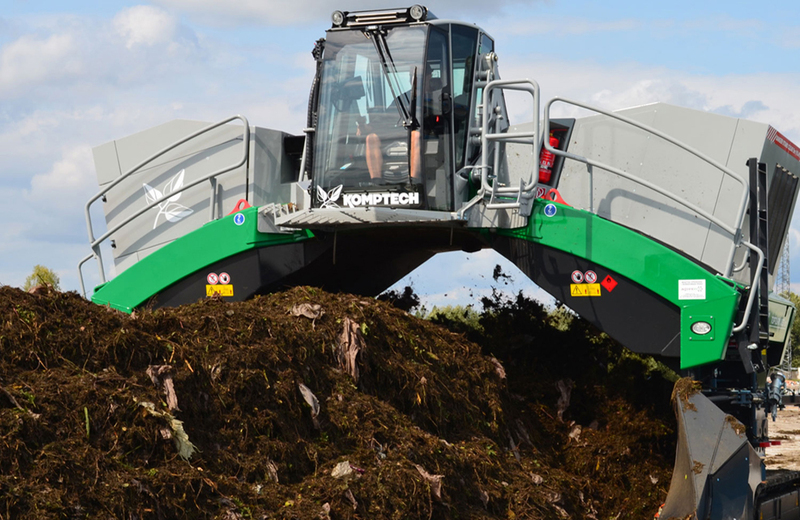 The Komptech Topturn X55 is one of the most widely used compost turners in the world. With the X55, Komptech is further extending their position. Inspired by their customers, this third generation of the Topturn offers top performance with complete comfort and convenience. The Komptech Topturn X63 is designed for the most demanding tasks. Equipped with a more powerful engine and an intake width of up to 6 meters, the X63 achieves a turning capacity of up to 4500 cubic meters per hour. The combination of large drum with conveyor and thrower blades and the powerful drive ensures that the turner leaves the perfect windrow behind it as it goes. The third generation, Komptech Topturn X67, offers top performance with complete comfort and convenience. An even sturdier telescopic frame, high performance hydraulics and generously dimensioned turning drum mean high throughput in all working scenarios. 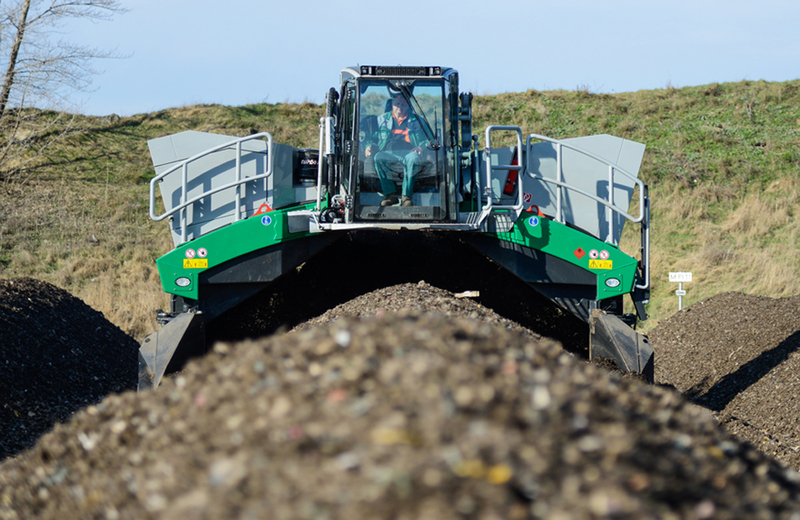 Our strong manufacturer relationships enable Power Screening to provide only the highest quality, mobile windrow turners and composting equipment to our customer base. We carry genuine OEM parts and our trained team of technicians offer both shop and field support to ensure that our customers' equipment is kept up and running.